Peraton will continue to help the U.S. Air Force manage cyber technology platforms across multiple domains under a five-year, $66M contract. The company said Thursday the follow-on contract extends a partnership with the Air Force Research Laboratory under the Xdomain Technology Through Research, Evolution, Enhancement, Maintenance and Support program. Under XTREEMS, the company will provide full life cycle support for systems designed to secure the exchange of information and collaboration among government agencies. 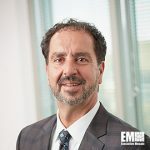 Gus Bontzos, president of Peraton’s defense and electronic warfare sector, said the company aims to help protect the military service’s mission from persistent cyber threats. Bontzos added that evolving mission requirements in the military and the intelligence community require a technology that can help agencies secure multidomain collaborative operations. Peraton will work to update the Information Support Server Environment CDS suite and the CDS: X-domain Agile Rules-Based Information Transfer Orchestrator framework. The company also offers research and development services to the Defense Threat Reduction Agency and the Naval Research Laboratory.